A natural extension of the January capsule collection we launched earlier this month, Draper James Spring 2017 is replete with upbeat and ultra-feminine styles. Details like taping, rugby stripes, and tipping, along with silhouettes like shirt dresses and bomber jackets make for a retro-sportiness that never lacks for girly appeal. Our Draper James girl can ride her bike to the park for a quick game of croquet, then stop for a picnic or lunch at the country club—no outfit change required. 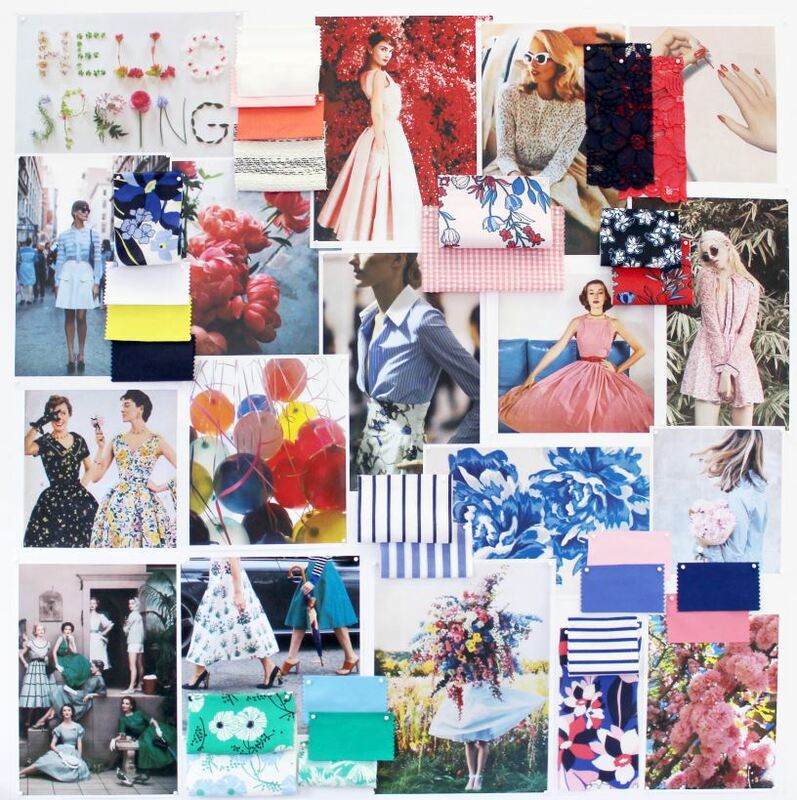 Have a gander at our inspiration board, and consider where and how you might wear Draper James this spring. Play All Day: We don’t expect you to break a sweat in this collection. But if you’re up for a game of good old-fashioned table tennis, badminton, horseshoes, or croquet, we’ll make sure you look swell (and Insta-ready!) doing it. Our flippy dresses (with flowers and all kinds of stripes), crepe de chine romper, floral-print track jacket, embroidered bomber, dashes of denim, sporty-chic backpack, and all sorts of other pieces are guaranteed to win—at least in the style department. Be the Princess of the Picnic: In the South picnicking is considered a competitive sport. So make sure your deviled eggs and fried chicken are up to snuff. Then whip up some sweet tea, slice up a watermelon, and pack it all up with our watermelon-printed tableware and cooler tote. Of course you’ll want to be sure you look the part—a task we’ve made simple since practically every piece in this collection is fit for a posh picnic. Make Milestones: Our brand new wedding collection for the home has the cheeriest trinkets for a wife-to-be (and let’s not forget our “Forever and Ever, Amen” Sweatshirt—so perfect for a casual bridal shower or wedding brunch). But for folks who’ve moved on from bride to baby mama, we’ve also got a flower-printed diaper bag worthy of even the cutest little munchkin. Splash in Some Puddles: We re-imagined our bestselling rain jacket from last year in a fun new floral print (and there’s always our Draper James umbrella! ), though so many of our flirty floral dresses—and we have lots of them—look as perfect with a pair of galoshes as they do with cowboy boots or heels. Love Somebunny: Have we ever mentioned how much Reese adores any excuse to celebrate a holiday? Upon her request, we’re honoring two for spring: Our Valentine’s Day pieces include a statement sweatshirt adorned with “Love, Y’all” and some super-adorable heart-shaped accessories. As for Easter, we’ve gone all out: Our pink-and-navy “Bonnie Bunny” motif is hippity hoppin’ all over skirts, sweaters, sweatshirts, and more. From church straight to the egg roll, we’ve got something for everybunny! “Live in the garden. . . Sleep in the house” is a favorite saying of folks who never tire of tilling. But even if you don’t like to get your nails dirty, you can survive all spring in our garden-inspired designs. Our collection is blooming with vine prints and delicate florals (over a dozen of them, in fact), while shades of sharp grass green figure big throughout. 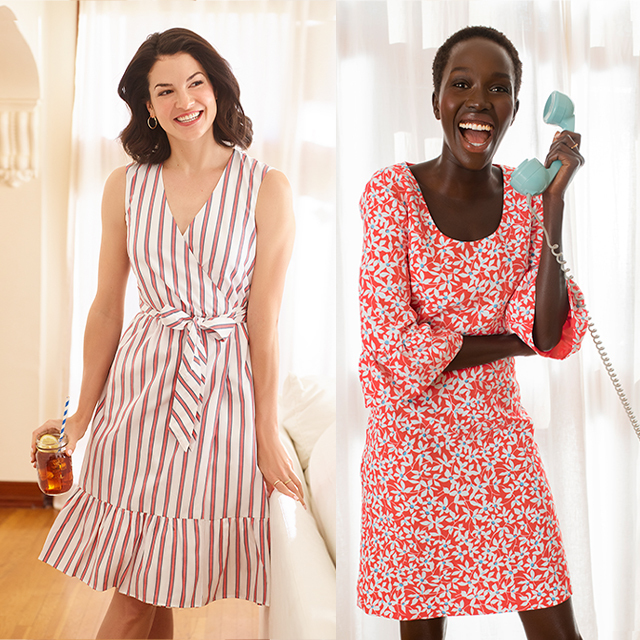 And if a garden party is what you’re after, we’ve designed enough dresses to dress every guest, not to mention blouses and skirts for those who don’t want the garden variety. I live in Elizabethtown, KY and I would study and follow the Spring Collection very closely to have an exciting road trip to the store this spring. My family is celebrating and attending to an early Summer Wedding (June 10, 2017) and I would like to wear something elegant, girly looking and refreshing. Definitely, I will trust in the Draper James brand for this important occasion and celebration of LOVE! See you soon!